The federal government is being formally asked to overturn a CRTC decision that will force smaller internet service providers to charge similar usage-based fees as Bell, Rogers and Shaw. A CRTC ruling last October gave Bell approval to implement usage-based billing on its wholesale customers, mostly smaller internet service providers that rent portions of Bell's network to re-sell to customers through their own retail internet packages. ((Mike Derer/Associated Press))The federal government is being formally asked to overturn a CRTC decision that will force smaller internet service providers to charge similar usage-based fees as Bell, Rogers and Shaw. Jean-François Mezei, a Montreal-based computer consultant, filed a petition to the Governor in Council late Wednesday, asking the government to overrule an October decision by Canada's telecommunications regulator. That ruling gave Bell approval to implement usage-based billing on its wholesale customers, mostly smaller internet service providers that rent portions of Bell's network to re-sell to customers through their own retail internet packages. Mezei's petition argues that the decision impedes the ability of internet service providers to provide different choices of service for their customers. "Without choice, there is no competition, and incumbents can then raise prices and lower service limits knowing customer have nowhere to go," the petition said. 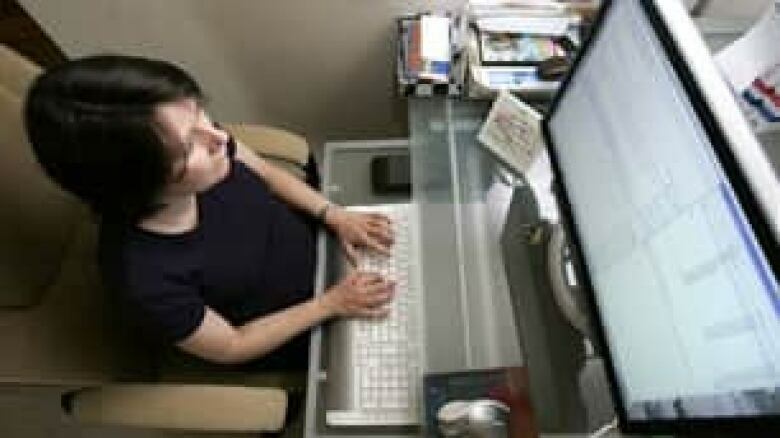 Bell and other major internet providers, including cable giant Rogers Communications Inc., say usage-based billing is needed to deal with booming online traffic and increased network congestion as people do more online — including downloading music and watching movies and television programs. Mezei said Thursday in an interview that the CRTC decision will "hurt a lot of people" in the near future by limiting their ability to use the internet without paying large "overage" fees. CBC's Spark spoke to Markus Giesler, associate professor at York University’s Schulich School of Business, about usage-based billing. You can hear more on the issue on this week's episode on Sunday, Jan. 30 at 1:05 p.m. on CBC Radio One. For example, in Ontario, Rogers charges customers of its $59.99 a month Hi-Speed Extreme plan who go over their 80 GB a month limit $1.50 per GB for a maximum of $50. Smaller ISPs have told customers that the CRTC decision forces them to start charging similar fees starting Feb. 1. "Eighty per cent of people have not yet tasted what could be done on the internet, like watching TV shows," Mezei said. "Once this becomes more popular, then those limits will really prevent people from doing stuff." In the case of Mezei's own business, Vaxination Informatique, the decision negatively affects his "ability to choose an ISP that can provide it with the services it requires and which differ from those offered by incumbent carriers," the petition said. On Wednesday, Netflix CEO Reed Hastings told investors he was "definitely worried" about the "significant negative for Netflix" posed by bandwidth caps set by Canadian internet service providers. ((Paul Sakuma/Associated Press))Mezei told CBC News he buys internet service from a small independent internet service provider in Montreal that rents network service from Bell. The CRTC decision means he must abide Bell's rules, which ban him from running business servers from home, he added. Mezei's petition also argued that the CRTC has no jurisdiction to regulate retail internet services as it has effectively done. Wednesday was the last day to appeal the CRTC decision to the Governor in Council, and Mezei is now waiting to hear whether his petition has been accepted. If it is, the document will be published in the Canada Gazette, there will be a 30-day comment period, and then Mezei must receive a response from the government by Oct. 28 — one year from the date of the CRTC ruling. He said it is rare for a private citizen like himself to file such a petition, but he believes it's an important issue. The CRTC decision has been widely protested and criticized by consumer groups, the NDP and smaller internet service providers. 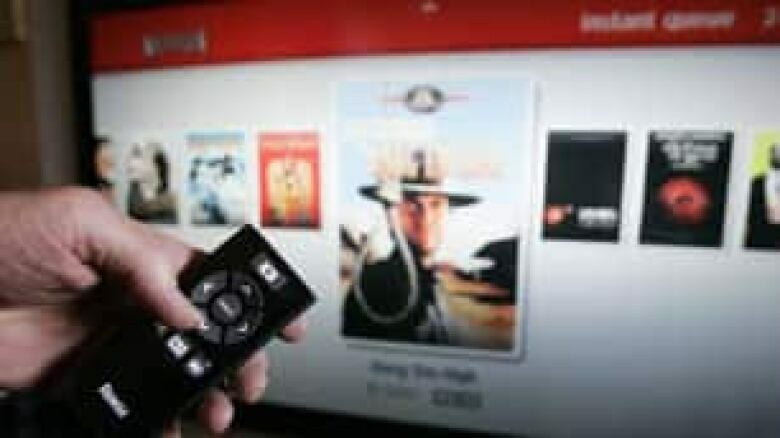 It has also raised concerns from companies such as Netflix, which recently started providing a service in Canada that lets customers stream high-definition movies and television episodes to their TVs through the internet using devices like the Sony Playstation 3. On Wednesday, Netflix CEO Reed Hastings told investors he was "definitely worried" about the "significant negative for Netflix" posed by bandwidth caps set by Canadian internet service providers. He also said in a letter to investors that the $1 charged for each gigabyte above bandwidth caps by some internet service providers is "grossly overpriced." A day earlier, the CRTC announced that wholesale internet providers, such as Bell, will have to offer its wholesale customers a 15 per cent discount on usage-based fees compared to what they charge their retail internet customers. The group OpenMedia.ca, which had gathered more than 40,000 names on a petition to stop usage-based billing from being imposed on small, independent ISPs, said that decision failed to safeguard consumer choice.